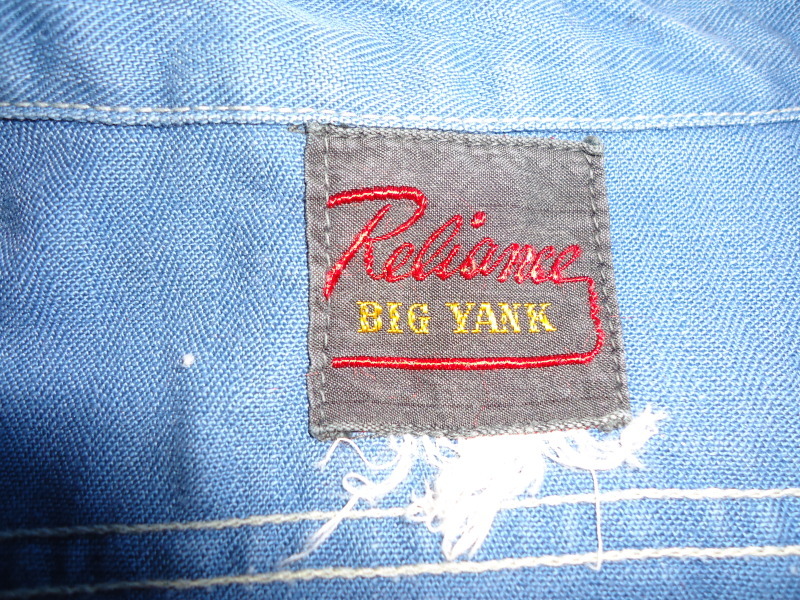 Another beautiful Reliance Mfg. 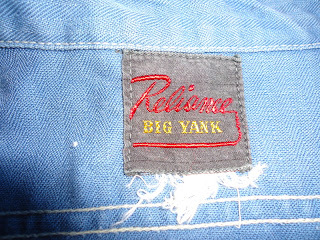 Co. BIG YANK work shirt with the iconic cigarette pocket in much favored blue cotton herringbone twill fabric. 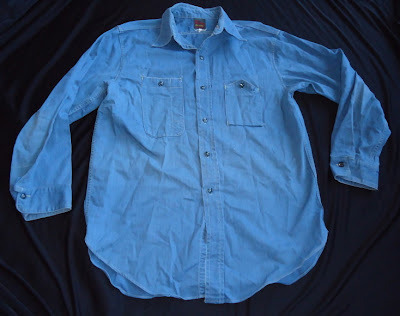 The unique pyramid top pocket design features a front and back sided pouch sewn on top of the shirt body as opposed to a conventional patch pocket in which a single piece of material is sewn directly on top the shirt body. This pocket is constructed using a single piece of material folded at the bottom to create the pouch which was then stitched along the sides and bar-tack reinforced, hence the lack of stitching on the pocket's bottom. 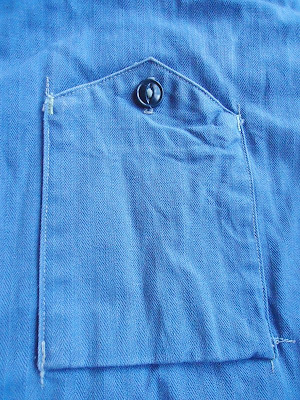 These type of pockets are also referred to as sweat-proof pockets and were used to hold items best kept dry and perspiration free such as a pack of smokes or a pocket watch. So interesting! What a neat feature.